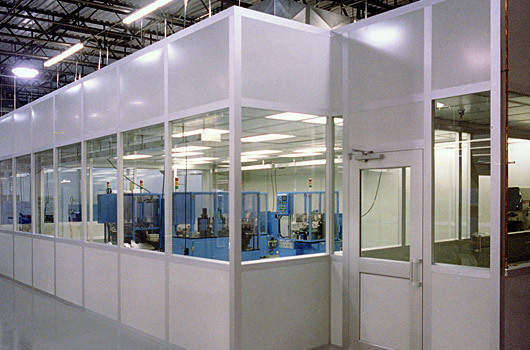 The Lasco 235 Wall System is an extremely versatile and flexible cleanroom wall system. Because it employs aluminum framing, trim, retainers and panels, it eliminates the vinyl glazing that could melt and jeopardize wall integrity during a fire. Framing members have an integral strut raceway to mount utilities on the back and shelving, racks, and furniture on the front. Windows are incorporated as modular panels, not cut into panel, hence windows are easily added and removed at will. Wall can be removed in sections. Modular doors can be relocated to any wall section. 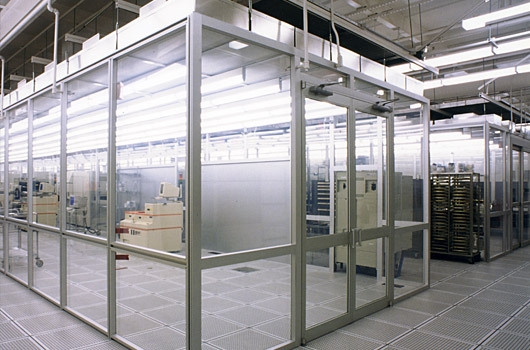 Its primary uses include versatile modular wall systems, cleanroom bay walls, partition walls, return air walls, shaft enclosures, clean office enclosures and freestanding cleanroom walls.